An LFO, or low frequency oscillator, sends control voltage out in the shape of a waveform. 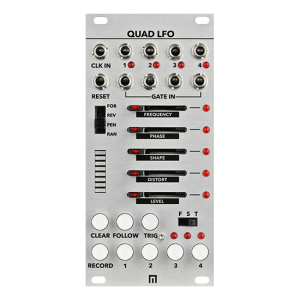 The Quad LFO available shapes include sine, ramp, triangle, saw and pulsewidth and moves through these shapes using the SHAPE slider. 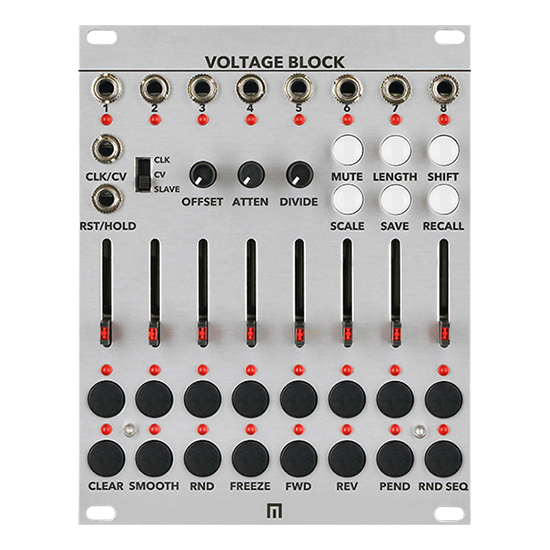 You can send these 4 distinct LFOs directly out or to other modules for frequency modulation, VCA control, filter control, etc. An LFO, or low frequency oscillator, sends control voltage out in the shape of a waveform. 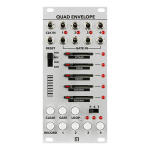 The Quad LFO available shapes include sine, ramp, saw, triangle and pulse and moves through these shapes using the SHAPE slider. 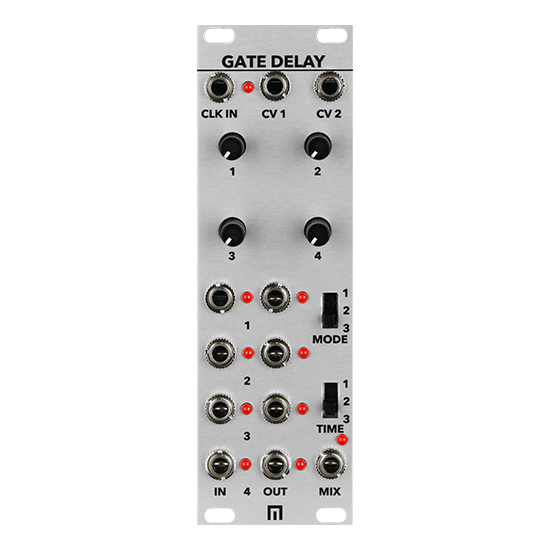 You can send these 4 distinct LFOs directly out or to other modules for frequency modulation, VCA control, filter control, etc. 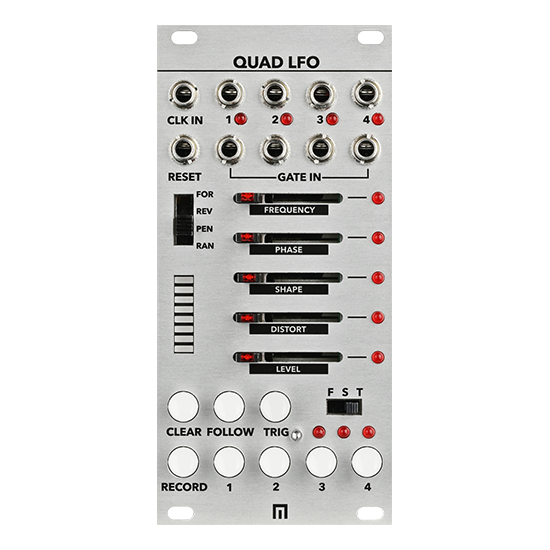 What makes this Quad LFO module different is that it also includes a 16 step automation sequencer for each channel, as well as autosave or expanded preset functions when used in conjunction with Varigate 4+ and Varigate 8+. 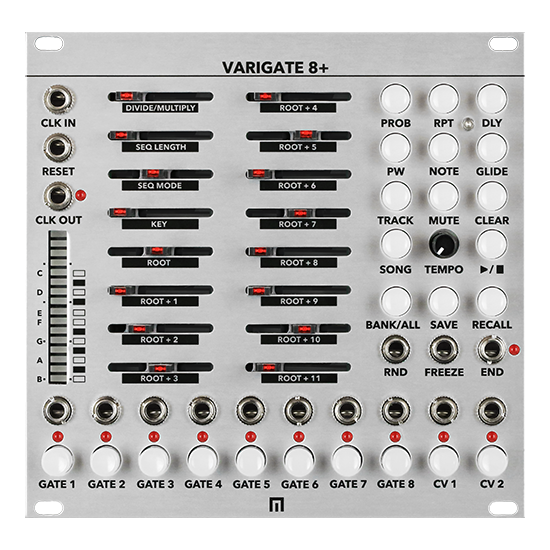 To create a sequence of automation for an LFO, select a channel and then hold the RECORD button and move the sliders for Frequency, Phase, Shape, Distort and Level and those slider movements will play back automatically as the Quad LFO cycles through the sequence. 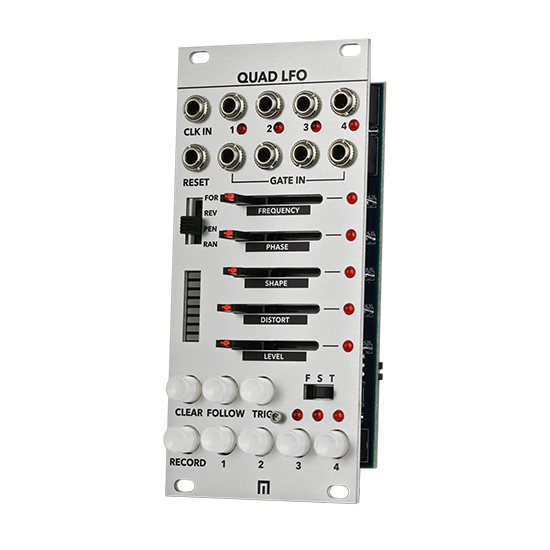 This sequencing feature allows for a multitude of dynamic possibilities for live performance and recording.